Did you have too much chocolate and wine over the weekend or is this cold winter weather leading you to overindulge? 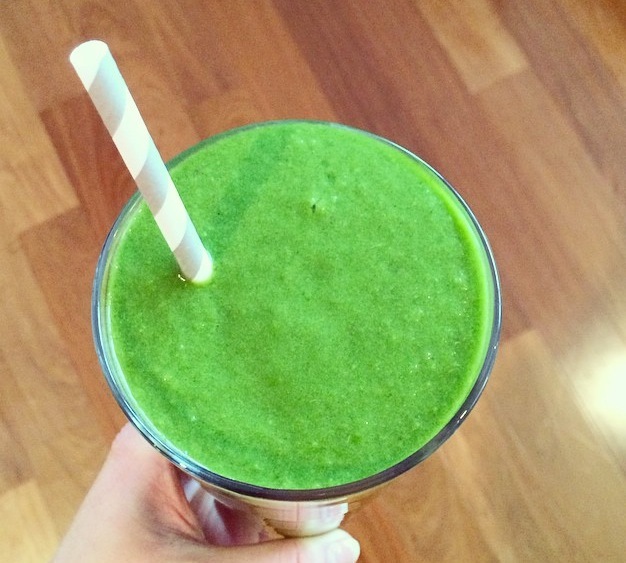 Here is my favorite Green Smoothie recipe that makes me feel detoxed, replenished, and kick starts me to get back on track during the week..
What I love most about this smoothie is that it does not deprive you of any nutrients or calories. It is a complete meal that just makes you feel great. – Avocado: is a great addition to your morning smoothie because of its nutrients and healthy fat content. Dr Lipman suggests having 1/2 avocado daily with breakfast for sustained energy and fullness. It adds an amazing creamy texture to your smoothie as well! – Maca powder: is a newly discovered Superfood that is known to boost energy, libido, improve skin & hair and even balance hormones. It adds a great strong flavor that compliments the ginger and cinnamon as well.